A village situated about 20 miles west of Oswestry at the head of the Tanat Valley . The Llanymynech Amateur Dramatic Society Website provides lots of interesting information and links including a History page . Llanymynech Heritage Area - CPAT Survey information which provides an excellent introduction to the area's industry covering all periods from Prehistoric times. There is a website has photographs of Llanymynech's Hoffman Lime Kiln . This impressive timber framed building was the town house of the Llwyd family of Llanforda Hall. It fortunately survived an 1881 redevelopment scheme. More info and early drawings can be found here via Internet Archive . It bears the family emblem and a date of 1604. The following notes were written in response to an emailed request for information regarding the Lordship of Oswestry and in particular the mesne lordship of the manor of Acton. I assume that your interest arises from the association of Acton Scott with the FitzAlan family. 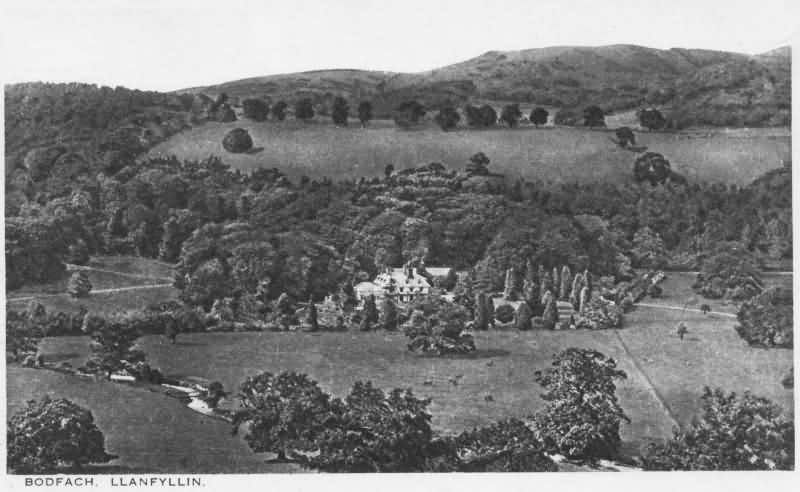 A quick search using Google indicated that the FitzAlans held the manor of Acton from the 12th century through to 1574 - one of many Shropshire manors held by the FitzAlans. I have not had a chance to check whether in this case the relationship included any requirement that the FitzAlans' sub-tenant of Acton Scott had to provide castle guard at Oswestry Castle (or indeed at Clun Castle). Presumably the FitzAlans sold their interest in the manor on in 1574 - I know that they were very active in selling on land and other rights in Oswestry and district in the 1560s and 1570s. In terms of the lordship of Oswestry itself, this was held by the FitzAlans from the early 12th century (Alan FitzFlaad) through to the death of the last of the direct FitzAlan line in 1580, with a number of short periods where the lordship was held by the Crown, or (as in the years 1327-30 when it was given to the Mortimers) passed on to others. After the death of Henry FitzAlan in 1580, the lordship passed to Philip Howard (the son of Thomas Howard, Duke of Norfolk, and Mary FitzAlan, the heir of Henry FitzAlan). From 1590 to 1603, the lordship was held by the crown after Philip Howard's attainder (as a Roman Catholic). In 1603 it was granted to Philip's half brother Thomas Howard, earl of Suffolk. He sold it in 1624 to the Craven family, from whom it passed (by descent rather than sale) in 1697 to the Herberts, lords Powis. The lordship is still held by the earl of Powis. I should add that the title Baron Oswaldestre is still held by the Dukes of Norfolk, descendants of the FitzAlans and Howards. For further details, you might refer to the Transactions of the Shropshire Archaeological Society; volumes 2, 3, 4, 5, 6, and 7 include transcriptions by Stanley Leighton from the records of the corporation of Oswestry. Volume 7 (for 1884) includes breif details of relating to the passage of the lordship, also seignorial officials, mayors etc. Also, the volume "The Lordship of Oswestry" edited by W.J. Slack (1951) includes transcriptions and summaries of a number of rentals and surveys relating to the lordship, from 1393 to 1607. My own "Oswestry, a local history" includes a chapter outlining the involvement fo the FitzAlans with Oswestry; also I have had studies of both the bailiffs of Oswestry, and more recently the stewards of the lordship from the 13th century to 1540, published in the aforementioned Transactions - see volumes 76 (for 2001) and 80 (for 2005). Other works would include the PhD dissertation by Llinos Smith "The lordships of Chirk and Oswestry, 1282-1415" (1971), the earlier MA thesis by D.C. Roberts "Some aspects of the history of the lordship of Oswestry to 1300" (1939), and the monograph "The FitzAlans, earls of Arundel and Surrey, lords of the Welsh Marches (1267-1415)" by Michael Burtscher (2008). The main source of information is W.J. Slack's The Lordship of Oswestry 1393-1607 (Shrewsbury, 1951). I take it you mean Aston rather than Acton, in which case there are general references on pages 17-18, 22, 38, 63, 75, 78, 121; to 'commons and wastes in' on page 68; and to 'encroachments in' on page 73. There are copies available for reference use only at Oswestry Library (ref F44) or if you live away from the area, you may be able to order the book from your local library through the inter-library loan scheme.